Bleeding is your body’s first response to trauma and injuries such as wounds, cuts, etc. Bleeding can be internal or external depending on circumstances of the injury, however, it is essential to control bleeding to avoid complications and life threatening events. 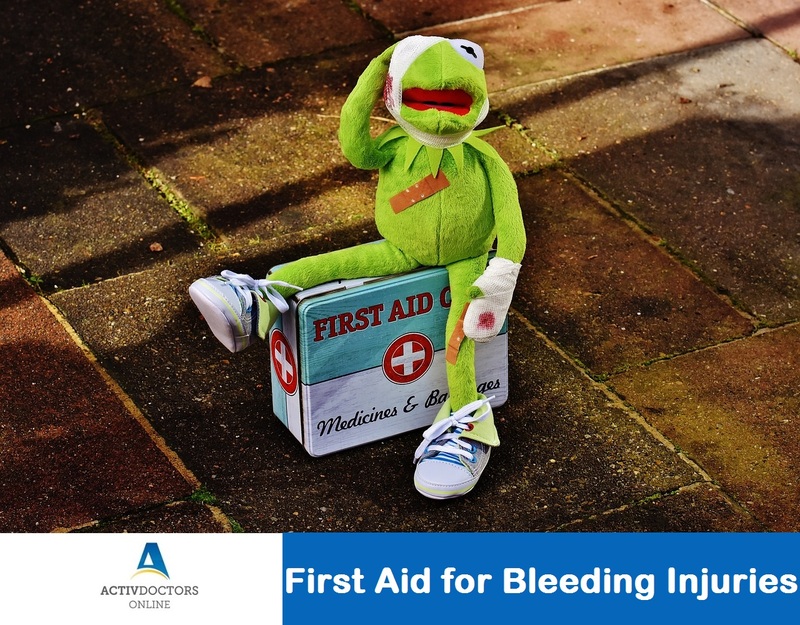 External Bleeding can be controlled using some simple first aid measures to keep the bleeding in check until medical help arrives. Do not panic – apply direct pressure on the site of bleeding with a clean cloth or tissue. In certain cases, your hand or the victims hand may also be used to apply firm pressure. Keep the pressure on the injured site constant and firm. If bleeding is from the hand or leg, raise the hand or leg up with support. Wrap the injured area tightly with a clean cloth/bandage. Do not use cotton to cover the injured site as cotton fibers may enter the wound and thus infect it. Apply antiseptic liquid/ointment to the site only after the bleeding stops. Wash the area thoroughly with mild soap and water. Apply pressure as explained above. Dress the area with antiseptic/antibiotics after the bleeding has stopped. Cover the wound with sterile dressing/bandaging. First Aid Measures differ for the site of injury/severity of the injury, however, the initial steps remain the same. Keep in mind that pressure should not be applied in case of post-operative bleeding. It is however recommended to consult a Doctor at the earliest to prevent untoward circumstances. When it comes to First Aid, every minute counts. Be more than well, be well prepared.